The Landing Page is the first page you will see after you login. It has a list of all your tree, RootsFinder News and the Demo Theater. After you login, you will see your landing page. If you already created a tree, you will see its name here. You may create as many trees as you like. Their names will all be listed here. Click on the name of the tree to open it. Click on "+ New Tree" to create a new tree. This is the Demo Theater window. 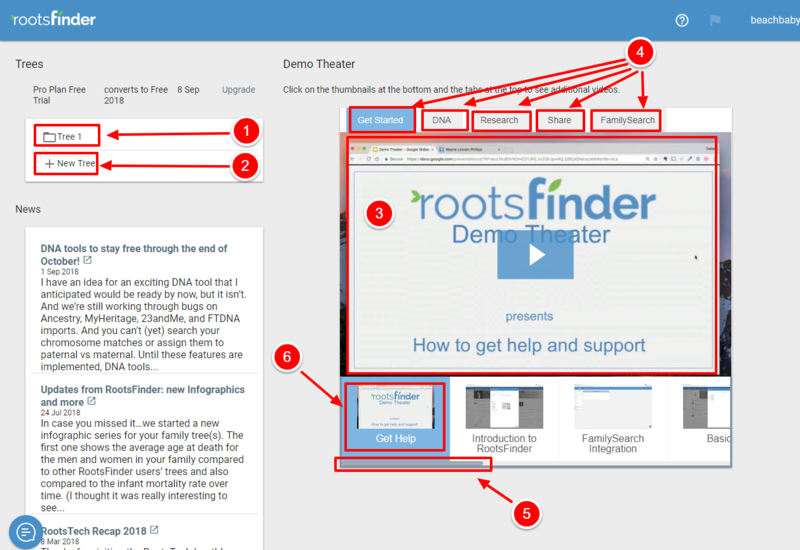 RootsFinder has a large library of tutorial videos you can view from here. Click on the white arrow in the blue square to start a video. Most video are about 2 minutes or less. Click on a tab at the top of the Demo Theater window to choose a topic. Click on a thumbnail to choose a video you would like to view. 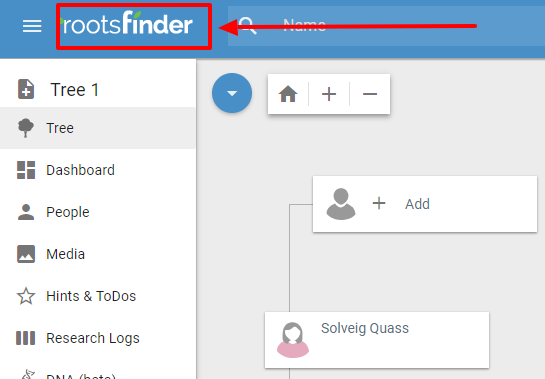 If you want to return to the Landing Page or see a video, simply click on the "RootsFinder" in the upper right of the page.